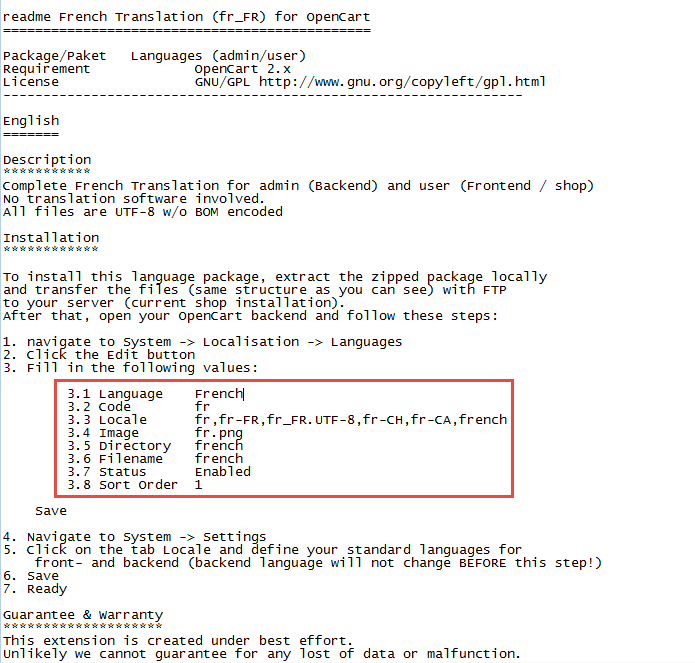 In this article, we will guide you How to add new language in OpenCart 2.x system. Step1: Download the language pack you need for your site. 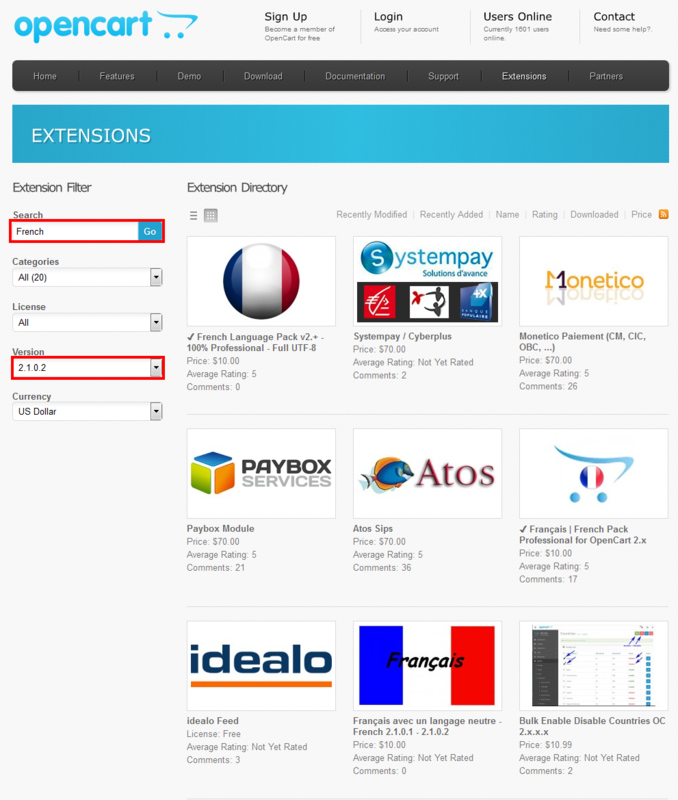 That language pack can be downloaded through the Extension Directory . Step2: Extract the archive file. Step3: Upload the admin and catalog folders. You need upload the admin and catalog folders from the extracted language pack archive to the main OpenCart folder on your hosting account. You need Log into your OpenCart admin panel with your admin credentials, navigate to System -> Localizations -> Languages and click Add New button. Click the Save button at the top right. The new language pack is now installed. To change the default language for your store front-end and back-end, navigate to System -> Settings –> Edit in your admin. Select the Local tab >> Select the new language you have installed. Finally, click the Save button at the top right.